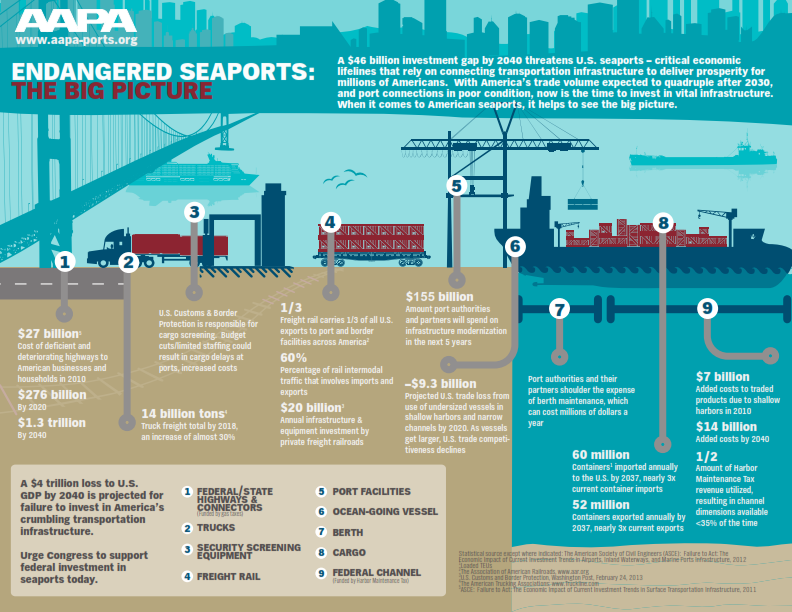 AAPA and our membership have embarked on a strategic Awareness Initiative, called Seaports Deliver Prosperity, to garner additional support for seaports and industry issues by heightening the awareness of the critical importance of ports. Working with RubinMeyer Communications in Washington, DC, this initiative is intended to educate and influence national policymakers as well as provide tools individual ports can use in their local community relations efforts. This web page hosts our messaging document as well as a number of collateral materials. We have also created a graphic treatment for "Seaports Deliver Prosperity" that can be used by all members on printed materials.